Roy Tzayag, Ilyon’s Head of Monetization, has been leading our Ad Monetization strategy and team for the past year. He has recently participated in the Madrid Mobile Summit 2017, sharing his knowledge and expertise on app and gaming monetization. I caught up with Roy to learn more about the art of Ad Monetization in mobile games. 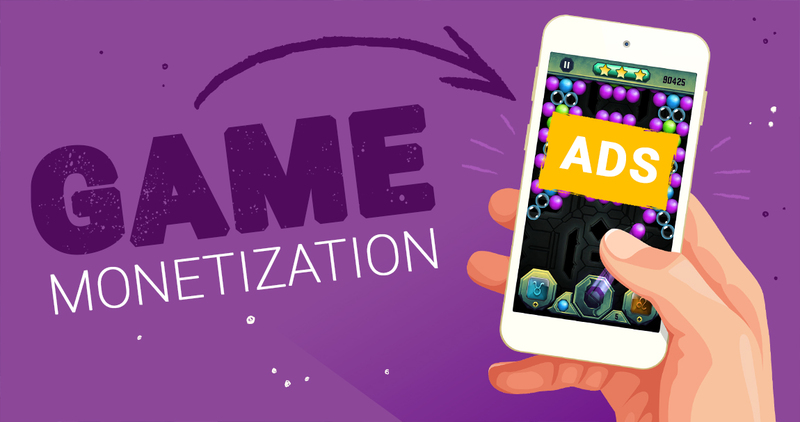 So what is Mobile Game Monetization? Mobile Game Monetization is the art of making money from mobile app games. Today, as the number of free mobile applications keeps growing, developers must find ways to generate revenues from both paying (in-game) and non-paying users. What are the Popular Monetization Methods? There are many different ways to monetize mobile games. The most popular method is advertising (displaying ads in-game). Based on my experience, mobile ads have a vast reach and impact on the user experience. Most people are familiar with ads, and will not be surprised to see them pop up on their smartphones. Another well-known strategy is in-app purchases when users have the option to purchase virtual items in the game. Users that buy in-app usually make up a very small percentage of the users that visit your game. But the revenue per purchase is much higher than from ads. Many publishers are using both methods (a “hybrid strategy”). What are the Biggest Ad Monetization Trends in Mobile Games? The gaming industry is moving from “push-strategy” to “pull-strategy”. Many advertisers and publishers understand that the “old” ad units, as Banners and Interstitial Ads (full-screen ads), can be annoying as they are being pushed to the users. You have to think that ultimately your goal is to have satisfied users and to increase the company’s revenues. That’s why game advertisers prefer the “newer” ad units as the Rewarded Video Ads and Native Mobile Ads that are less disruptive to the user experience. Native ads are dynamic and can be assimilated into the game to appear as part of the design. And rewarded video ads are optional and more engaging, as opposed to the pop-up video ads that start playing automatically. Users choose to watch video ads while playing, and they watch them in full to get in-app rewards. What are the Biggest Challenges Ad Monetization Managers Face and What Tips Can You Give Them? One of the biggest challenges is differentiating the users according to their type, not only according to historical data but also in predictive models (paying vs. non-paying users). In the past years, as marketing became more complex and data-driven, the importance of tracking and pinpointing ads is very important. Advertisers are willing to pay more money in order to show ads to quality users and to audiences that are more relevant to their offer. Another big challenge for game monetization today is to find the right ways of showing more ads per user without harming the engagement and retention metrics. My advice is to always experiment. Experiment with different networks, placements, ad frequencies and all related, because every game has its own behavior. Things that might perform better in one app, will not necessarily perform the same in the other, and vice versa.